Wind turbines can be up to 200 m tall and a single rotor blade can be up to 60m long. 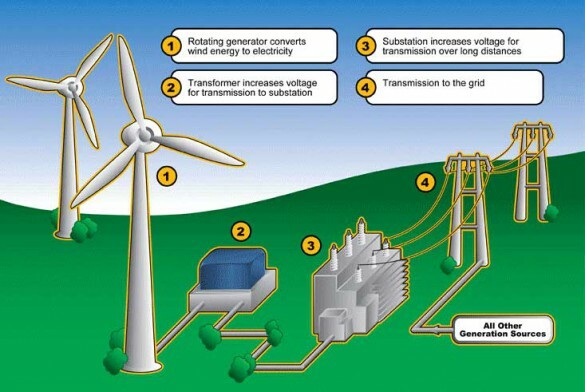 A single turbine (depending on size and speed of operation) has a capacity of 2,5-3MW can produce more than 6 million kWh in a year. Wind turbine blades rotate between 15 and 20 revolutions per minute at constant speed. 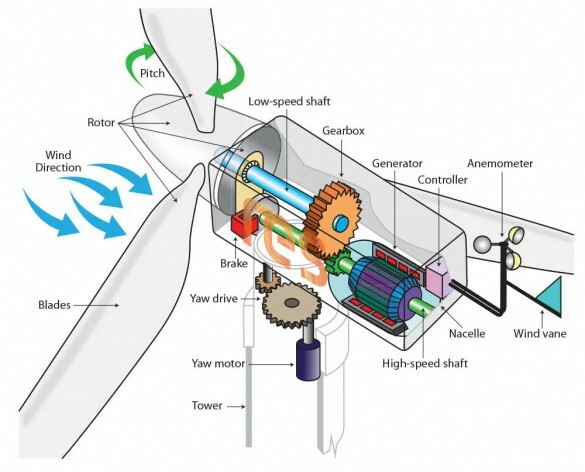 If the wind speed drops to a level below the cut-out speed for a sufficient length of time, the turbine will point itself back into the wind, release the brake, and resume power production.